HAPPY CHINESE NEW YEAR! Year of the Pig. Chinese New Year, or the “Spring Festival” as it is referred to in mainland China, starts today and represents the beginning of a new year on the traditional Chinese calendar. (For the most commonly and officially used calendar in modern China, see Gregorian calendar.) It is one of several Luna New Years in Asia. Why is 2019 the year of the pig? The animals of the Chinese zodiac rotate on a 12-year cycle, and recent years of the pig include – 1935, 1947, 1959, 1971, 1983, 1995, 2007, 2019. Each animal has attributes which are said describe those who are born in that year’s personality. The first day of Chinese New Year begins on the new moon that appears between 21 January and 20 February. 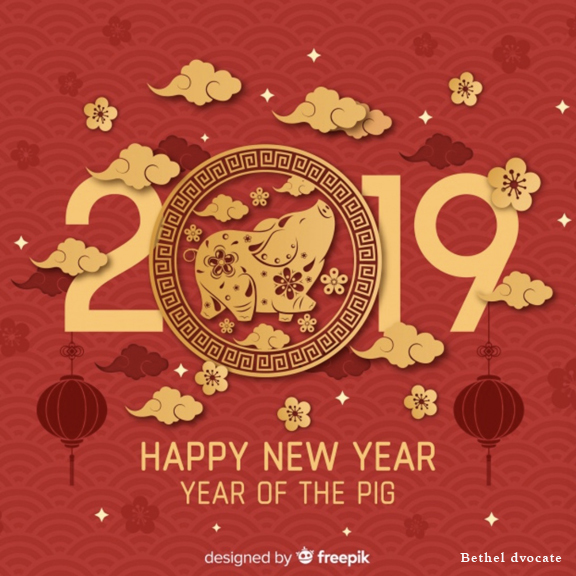 In 2019, the first day of the Chinese New Year was on Tuesday, 5 February, initiating the Year of the Pig, and ends on February 19th, with the Yuan Xiao or Lantern Festival. “The Lantern Festival has religious aspects. It was important in ancient Chinese paganism, and also modern day Buddhism and ethnic minority cultures,” says chinesetnewyear.net. Chinese New Year is associated with several myths and customs to honor deities as well as ancestors. The evening preceding Chinese New Year’s Day is frequently regarded as an occasion for Chinese families to gather for the annual reunion dinner. It is also traditional for every family to thoroughly clean their house, in order to sweep away any ill-fortune and to make way for incoming good luck. Decorations on doors and windows include red paper-cuts that represent good fortune or happiness, wealth, and longevity. Other activities include lighting firecrackers, moon gazing, lighting lanterns, riddles, lion dances and eating rice balls, and giving money in red paper envelopes. For the northern regions of China, dumplings are featured prominently in meals celebrating the festival.